Started off the New Year with a bang as I headed down to the Mokdong Immigration Office for fun times with the officers. Fortunately in the past ten years they've improved enormously and I was in and out with my visa extension in less than an hour. 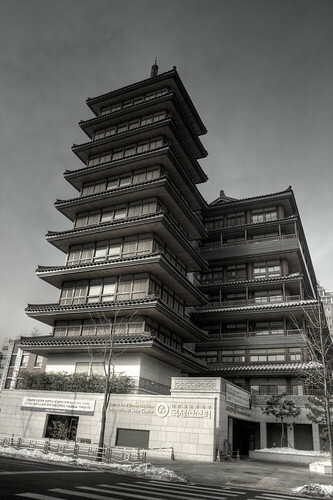 On the way back to the subway station I passed the Jogye Order of Korean Buddhism International Seon Center. Seems to be fairly new and ever so sparkly... Official website here and more info here with the promise of temple food cooking classes.